I originally fell in love with WP7 -- I went out and purchased a Trophy for Verizon. Over time, however, it didn't do it for me. The Trophy felt out of date, small, and just not up to par with what was currently out, and PROJECTED to come out. WP7 was the best OS I'd ever come across; LEAGUES ahead of iOS in terms of integration and personalization. I loved it, but went over for the iPhone 4S. I've been lurking in WP news the past YEAR, EAGERLY awaiting a flagship device to come over to Verizon. To have only one, pesky device on such a mainstream network is poor, ESPECIALLY with an OS like Windows Phone! Upon reading about the HTC 8x, my eyes LIT up! It isn't the Lumia 920 I'd MUCH rather have, but it's a 4+" WP8 device, and it will be ON VERIZON. I'm pretty much ready to dump the iPhone and go BACK to what I love -- the WP operating system. There's nothing WRONG with iOS -- it's fluid, has the most apps, works well with my iPad in terms of sync (especially with iOS 6 and message syncing between devices), but it's just....ok. It doesn't wow me like WP8 will, and like WP7 DID. This won't even be a toss-up for me! Just FINALLY excited to be getting a device on VZW. I'm ASSUMING the 8X will have LTE, right? cedarlog, 12Danny123, jabtano and 3 others like this. 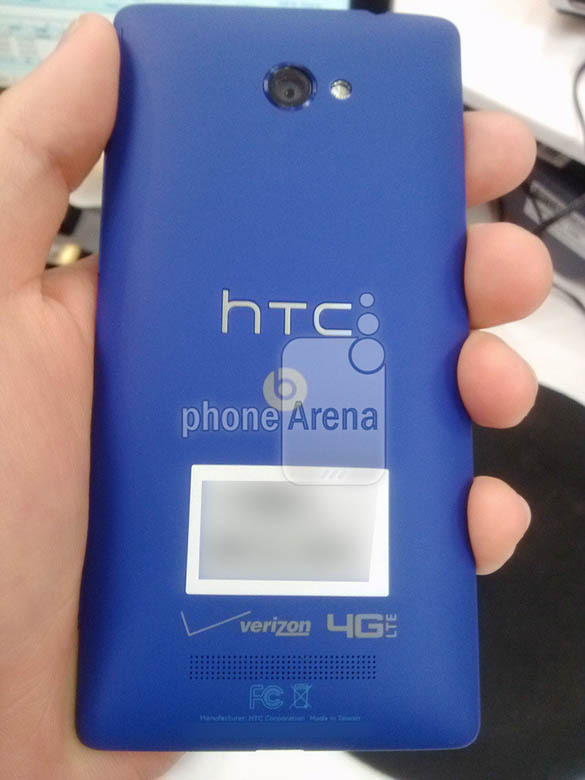 The HTC site doesn't have the 8x listed with LTE but we'll see when it comes out. Verizon doesn't launch new smartphones without LTE in 2012 so yeah it will. cckgz4, Agpe17, WPhoner and 1 others like this. Oooohhh, that phone is really starting to grow on me. That shot of the LTE branding is FANTASTIC. ABSOLUTELY getting the 8X on launch (complete with case and screen protector IMMEDIATELY, of course!) I remember what a hassle it was trying to find accessories for the Trophy. NO Verizon store had them! I had to resort to online for EVERYTHING -- I hope the 8X launches with accessories to boot! You won't go wrong with the 8X at all, it truly is a winner. It has the best FFC, best screen and best sound. The last 2 are absolutely a must if you consume any content. Looking forward to it! So I'm assuming, no release date projection? We all know November, but any hint as to when? First week? Mid-November? Love the enthusiasm. Makes me excited all over again. As my Palm Pre died and my wife's Curve routinely froze up, I was so pumped for the Mango devices. I had tried a few WP devices and just was blown away with the uniqueness and response. Now that I have had it, it is so much fun to find someone who has been won over by it. The 8X is winning over Verizon customers pretty quick, about as fast as they realize the 920 is not coming, at least not yet. I hope this is the WP8 Big Red users deserve. They have been waiting way too long. And now it's HOPEFULLY here. With WP 8, and a mainstream device, maybe this WILL be the windows device for Verizon users! This time is passing WAY too slow! I may have to not come back here until POST-PURCHASE! When you look at the L810 and then look at the 8x it's clear that the L810 doesn't come close where it does out shine is Nokia apps. but I use apps now and i'm very happy with them and they are not nokia apps.I think the 8x on both T-MO and Verizon will do very well I even think it will do well on AT&T It will outshine all other WP8 devices except the L920. Japtano:: do you use a turn by turn app, and if so which one? The main reason I went with the 710 vice the radar is that I travel allot, and need the turn by turn capabilities that Nokia Drive provides. If there are apps that are just as good, or if Bing Maps has been improved to do turn by turn like Google Maps then this no longer becomes and issue. Better save your nickels... You will need to buy outright to keep the unlimited data. I always do! Never worried about that! I always keep my phones in PRISTINE condition (case and screen protector on before I've left the store). A new phone comes out, I sell my old one for close to retail, and end up paying upgrade price or lower for a new device! Unlimited is NOT going anywhere! +1 on this -- coming from iOS 6 and the new turn-by-turn (which is FANTASTIC for me, despite the 'bad maps' gig), that IS a concern of mine going back to Windows Phone. If not, will the 8x?